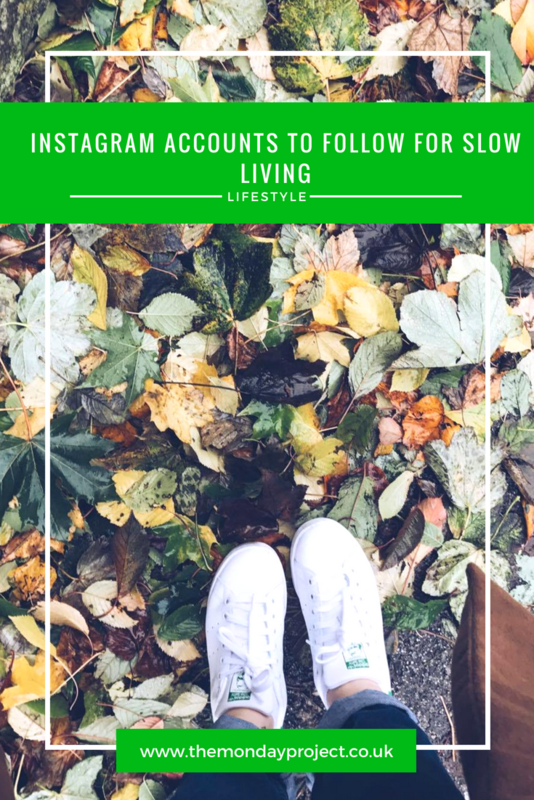 Although Instagram seems to be the bane of a lot of bloggers right now, I am really enjoying it. I’ve developed a theme of sorts, I’m enjoying creating content for it and most importantly, I’m enjoying finding inspiring feeds to follow. One of the loveliest things about the summer for me was learning about slow living and embracing it at its fullest. Instagram is a treasure trove of wonderful accounts, there is nothing you can’t see on there but I’ve been focussing in on following feeds that genuinely give me joy to look at. Pictures I feel inspired from, that make me feel calm when I look, captions I enjoy reading. For a little bit of relaxation and some inspiration, I fully recommend checking these ones out. I tweet frequently about how much I adore Gem’s account, it really is one of my favourites. The Mother Cooker is her food and lifestyle blog which features such gorgeous recipes and Gem’s Instagram is full of wonderful foodie pictures. Honestly, I can’t stress how amazing her foodie photos are. It just makes me want to drop everything and whip it up right at that moment. I am loving her more autumnal recipes which are coming through – the picture of the Gingerbread and Butter Pudding almost made me drool! Follow The Mother Cooker on Instagram. 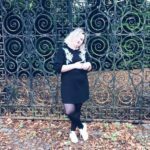 Bee is one of my favourite bloggers as well as having one of my favourite Instagram accounts. 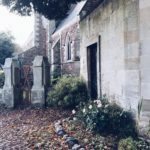 I love her moody photos, featuring the littlest of things from a chicken to some pumpkins to gorgeous architecture shots. Bee’s personal style is right up my street too, I love her mix outfit posts scattered through her grid as well. If you love a thoughtful caption, Bee’s are some of my favourites – it’s like a little story. Follow Queen Beady on Instagram. I found Milena’s simply stunning account through Bee’s Instagram stories sharing some of her favourite accounts. Blushing Lately is probably my favourite account on Instagram? It is in my top 3 anyway. Such beautiful tones scattered across her grid, lots of nature and books, some gorgeous architecture. There are also some beautiful captions filled with lovely words and stories. It such a relaxed feed and everything feels effortless. Follow Blushing Lately on Instagram. Jen is one of my favourite accounts for finding fashion brands that are off the beaten track and promote ethical fashion. I love her relaxed outfit shots sharing lots of ethical and slow fashion tips and plenty of nature! Nature is one of my favourite things on Instagram and I love how Jen is showcasing autumn at the moment, so many gorgeous orange and green tones. Follow The Sustainable Edit on Instagram. Katye’s autumnal Instagram is killing me right now. It is too good. So many gorgeous flat lay with mugs of hot drinks, autumnal features such as pumpkins and books. It is dreamy. Her captions are also magical, beautiful little stories, not just “insert something here” vibes. Such care clearly goes into curating her feed and I can’t stress how soothing I find it. Follow Simple and Season on Instagram. Auburn Rhyme is the newest account I’ve followed that fits into my slowness category. Rimsha’s feed has lots of white in it which brings a lot of freshness to a feed, especially in the autumn/winter months when content is usually darker and more seasonal. I am loving all the leaves she is sharing right now – such a beautiful way to showcase the changing of seasons! Follow Auburn Rhyme on Instagram.